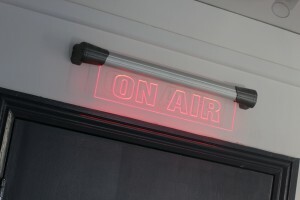 Broadcast PR advice: How not to be caught out by the mic - Shout! As a Broadcast PR specialist, we can tell you that just because you’ve confirmed broadcast coverage does not mean that it’s now time to relax!! 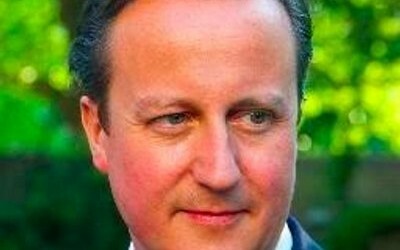 The David Cameron scenario, where he was caught on mic, during an informal chat with former New York Mayor Michael Bloomberg saying he had “never heard someone so happy” as the Queen after Scotland voted “no” and that she “purred” is a prime example of being “caught out by the microphone,” something that should always be avoided. Prince Charles let rip too! When he accidentally revealed what he really thought about the press when he posed for pictures in the Swiss Alps with his two sons William and Harry. Not realising he could be heard he described reporters as “those bloody people” and a BBC journalist Nicholas Witchell as “awful”. The lesson they have learned it is important to always make sure your microphone is switched off both before and after an interview, especially if you are chatting informally with a journalist. As a general rule you should never say anything in a room with a radio or TV microphone that you would not like to go out on air as journalists can use anything they have recorded, even if you say it is off the record or did not realise it was being recorded. Don’t say anything controversial or gossip about someone on a radio day, or in a newsroom whether or not there is a microphone present, as this may be heard by your client or a journalist which can ruin both your own and your company’s reputation either way. 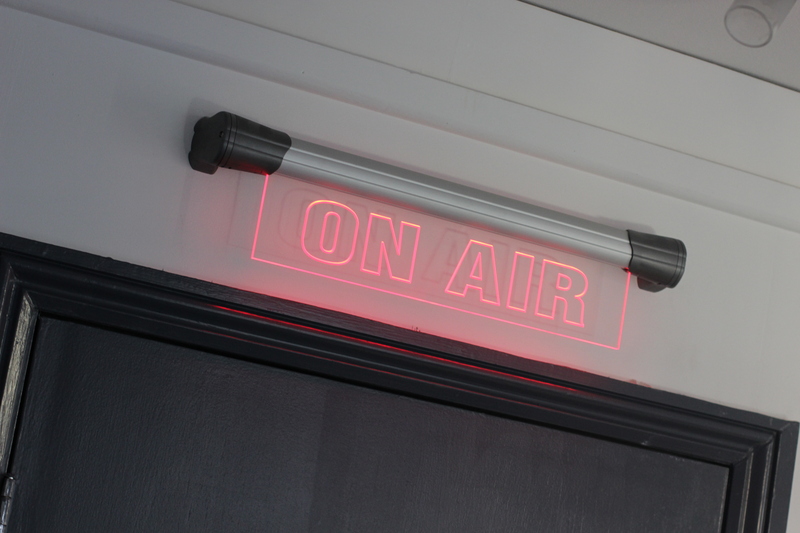 It is easy in the comfort of a radio studio to let your guard down and forget the mic is always ‘live’ and or ‘open’ so comments you’re making about your spokesperson in the green area can be heard by them. Similarly anything they say can be heard by journalists ready to dial in and speak to your spokesperson. Check out our previous blog on being the perfect spokesperson for broadcast here. Before confirming a broadcast interview you should make sure that the spokesperson representing your client feels comfortable and knows exactly what the subject matter is about. They should be aware of how to respond to the sort of questions the journalist may ask, no matter how controversial or unexpected they may be. Even though the full interview may not be used by the journalist as coverage, the whole interview will probably be recorded so at all times the spokesperson should be well aware of what they say. It is essential the spokesperson knows not only what to say, but also what not to say i.e. no inappropriate language and not to veer off the subject in question and to ensure the key messages are portrayed. On a radio day you are likely to have a long list of interviews with different radio stations that will use the story in different ways. It’s a good idea to brief your spokesperson in between each interview about which station is doing the interview next and from your experience what sort of questions they are likely to ask. For example, the BBC stations often dislike commercial organisations being mentioned more than once. Try to make the day enjoyable for yourself and for the spokespeople. If everyone is happy this will be reflected in the interviews. Keep the interviewees on message and don’t allow them to make too many commercial mentions. We say two mentions at most: one a mention of the brand, the other to the URL of whatever is being plugged. If the spokesperson veers off then try to reign them back in during feedback between interviews. Always remember to include positives when feeding back to keep the energy levels high. After any radio day it’s key to update your client with a report to explain what key messages were communicated but also any issues that arose. Keeping everything professional with what you say, how you act and how you treat your client’s is essential to ensure a good, long term relationship with both the client you’re representing and the journalists you’ll probably come across again in the future, as well as your reputation as a Broadcast PR specialist. If you need help avoiding these pitfalls- get in touch with a member of our team today to see how we can help you develop a full proof broadcast PR plan. Or have a look at our media training e-book – a new free guide for anyone interested in doing broadcast interviews.